SimCity creative director Ocean Quigley announced today on Twitter that he's leaving Maxis to found an indie studio called "Jellygrade" alongside two other Maxis designers. Their first game will start out on iPad and according to Quigley will be "A simulation about the dawn of life on earth; about lava, water, rock and the emergence of the first primordial creatures." You can find some concept art on their Tumblr. 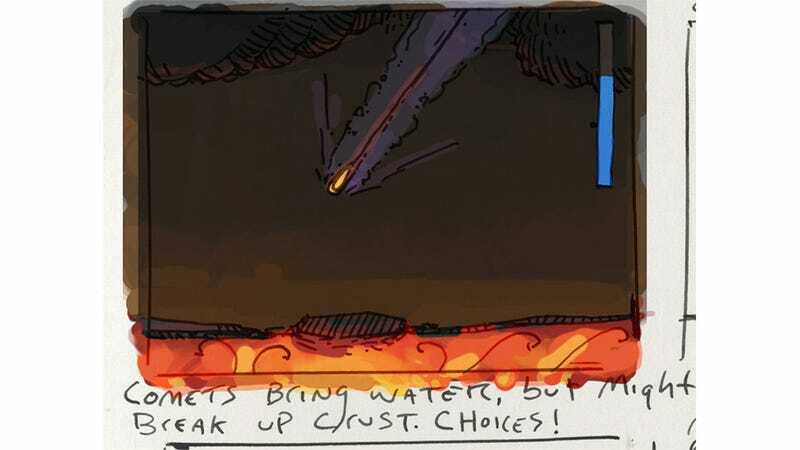 I enjoy the concept art above: Comets bring water, but might break up crust. Choices!